A slightly different version of this obituary appeared in The Guardian, August 25, 2011. More about Helen here. My partner, Helen Lowe, who has died of a heart attack aged 67, was a feminist, community activist and lifelong campaigner for equality and social justice who inspired others by the way she lived her politics. 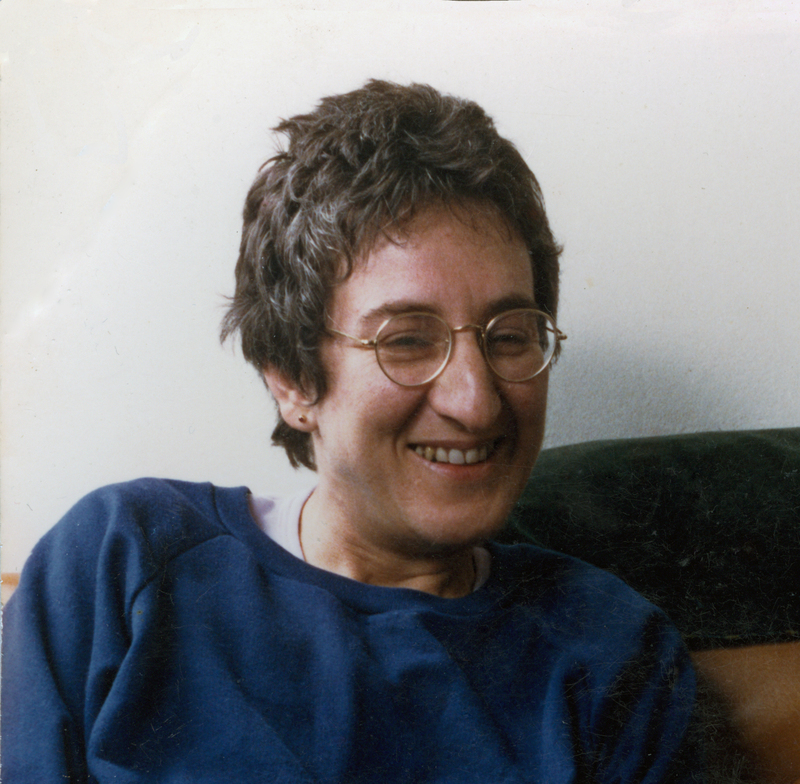 Her most formative years were as an activist in the 1970s Women’s Liberation and Lesbian Liberation Movements: organising, protesting, debating, and making enduring friendships. A committed secularist, she recently campaigned with Women Against Fundamentalism against fascism and religious fundamentalism in the East End of London, where her own grandparents had arrived as immigrants from Russia and Estonia. She grew up in a secular Jewish family in postwar Glasgow. Her parents, though Communist Party members and supporters of the peace movement, were scandalised when Helen, aged 16, was arrested on a sit down protest at the nuclear base at Faslane. Throughout her life she would favour direct action, resisting authoritarianism and doctrinaire politics. By 1964 she had moved to London, where she gave birth to a daughter, Debi, and helped organise housing campaigns and rent strikes. In the mid-1970s she was one of the founders of Seagull Housing Co-op, west London; she played a major role in it for the rest of her life. Making a living often came second to political activism, though she combined both as a co-founder of Dark Moon community typesetters, working on feminist and alternative publications such as Spare Rib and City Limits. Dark Moon also produced wholefood labels and film programmes for local businesses, which sometimes paid in kind with jars of peanut butter or cinema tickets. Midlife saw a change of direction, when Helen took a BSc in Photographic Science. She next began a PhD in the then new field of medical imaging at the Royal Marsden, but gave it up after being diagnosed with breast cancer. After recovering, Helen resumed a working life centred around publishing and journalism, but her interest in science did not go to waste, and one of her favourite jobs was at the Times Educational Supplement, writing about science for children. She loved nature, from botany to birdwatching. Later she developed an interest in creative photography, using it as a way of engaging with the world around her, and sharing it with others. In all aspects of her life, she made connections, and encouraged others to get involved. Her many friends will remember her humour, her stubbornness, her kindness and her love of life. She is survived by me, Debi, and her brothers Maurice and Louis.